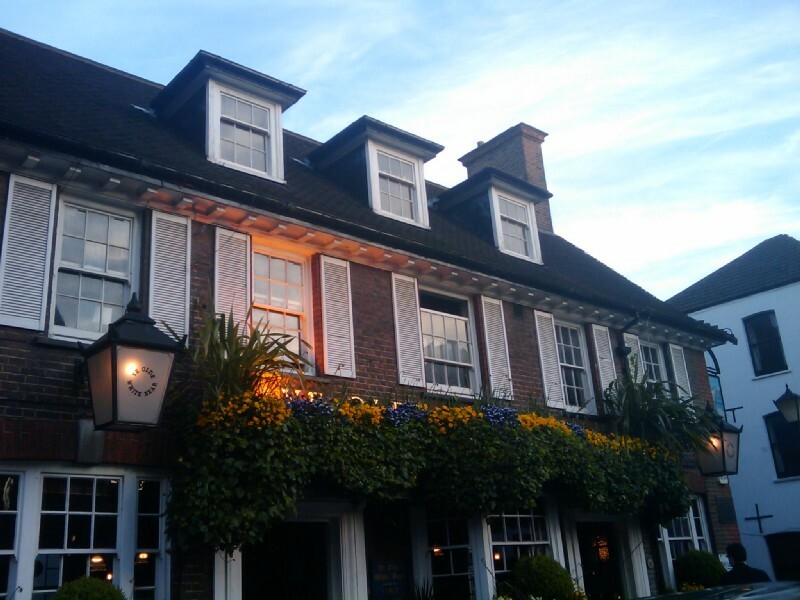 An afternoon and evening spent exploring the interesting and historic pubs of Kentish Town and Hampstead. 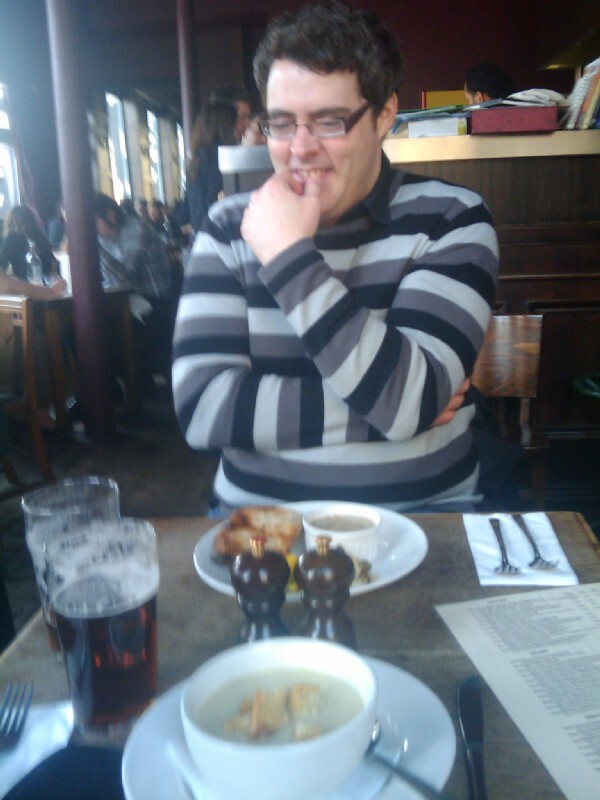 12:41:46 Pub number 1, The Oxford near Kentish Town tube station. 12:58:58 Pub number 2, The Assembly House. 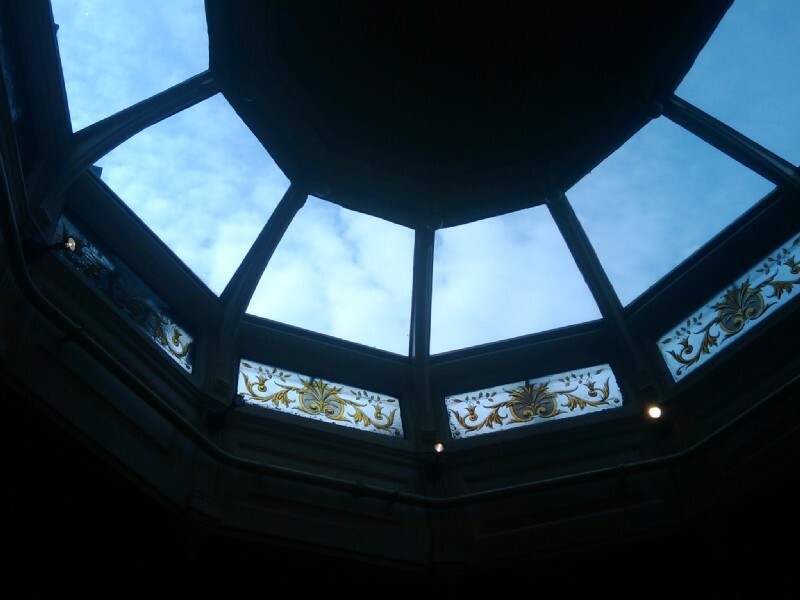 Lovely etched glass and high plaster ceiling here. 12:59:06 The sunroof at the back of the Assembly House. 13:16:35 ...and again, with my proper camera. 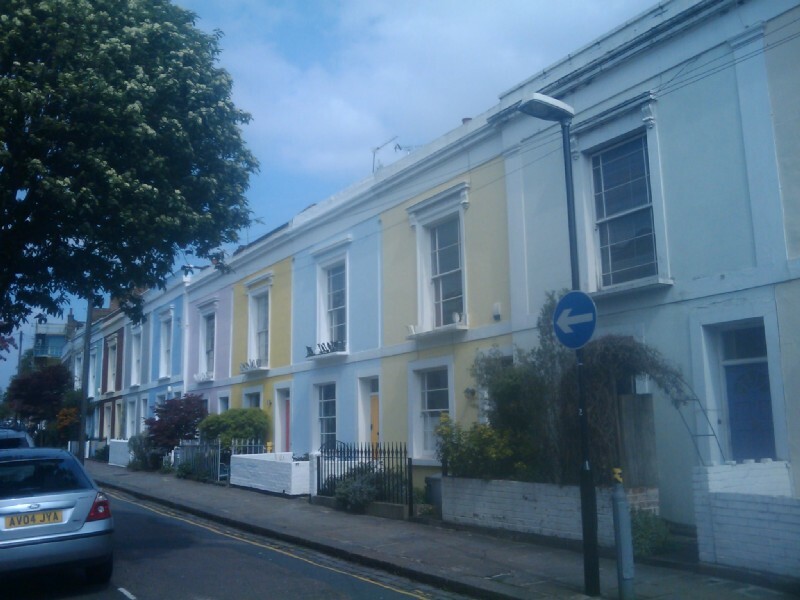 13:34:03 A very pleasant little row of colourful stucco fronted houses in Kentish Town. 13:37:10 Pub number 3, The Pineapple. 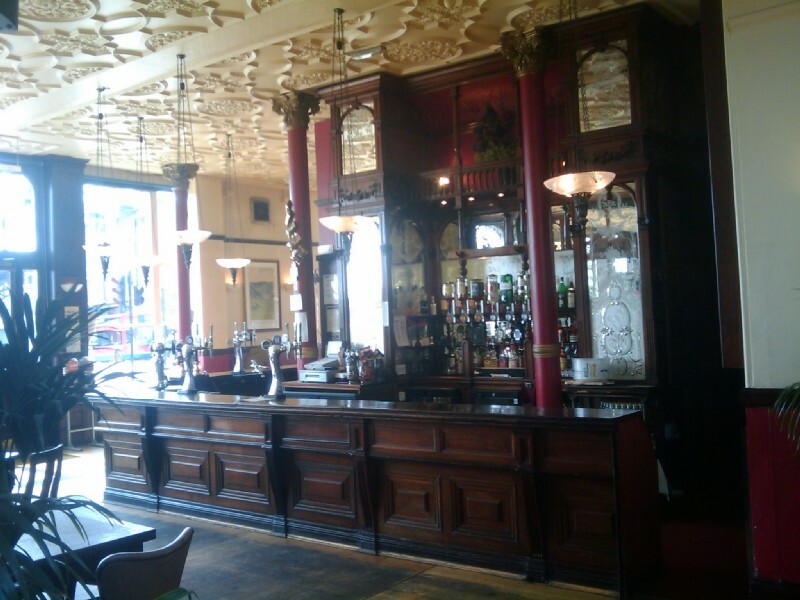 Very unusual and attractive looking pub this one. 14:49:44 Pub number 4, The Junction - more of a restaurant really, but both the food and the beer were very good so I'm not complaining! 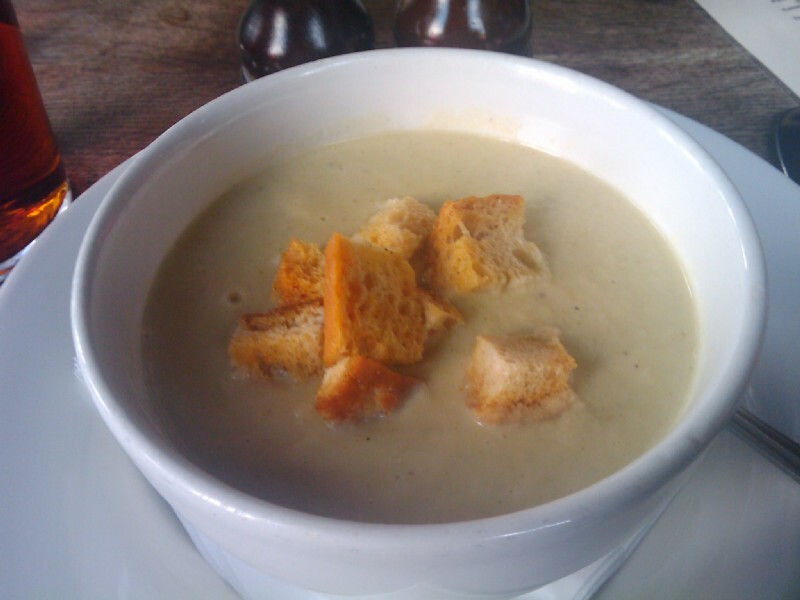 14:51:15 My starter - a very interesting and flavoursome Pear and Fennel soup. 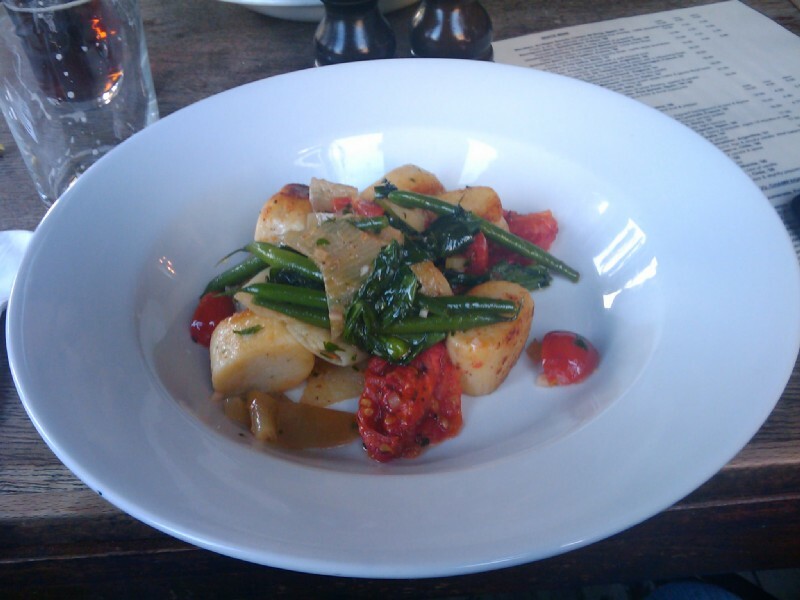 15:23:25 My main course - gnocchi with vegetables. 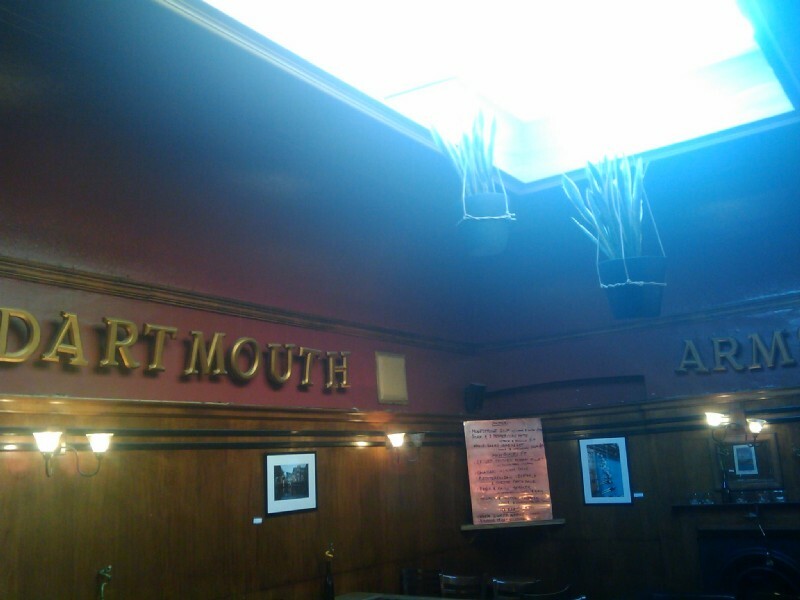 16:45:17 Somewhat later on, here is Pub Number 5 - The Dartmouth Arms. Not a particularly inpsiring picture, but just wanted to remember where I'd been as much as anything else! 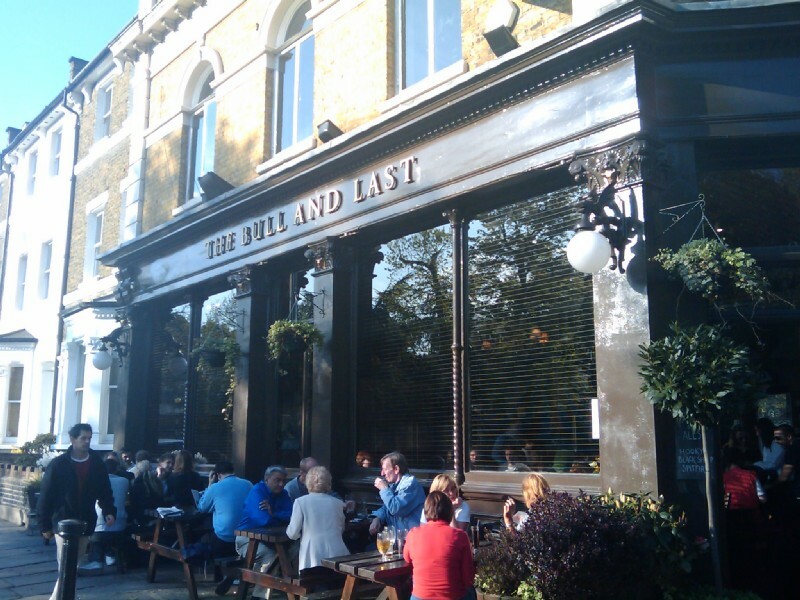 17:59:30 Pub Number 6 - The Bull and Last. 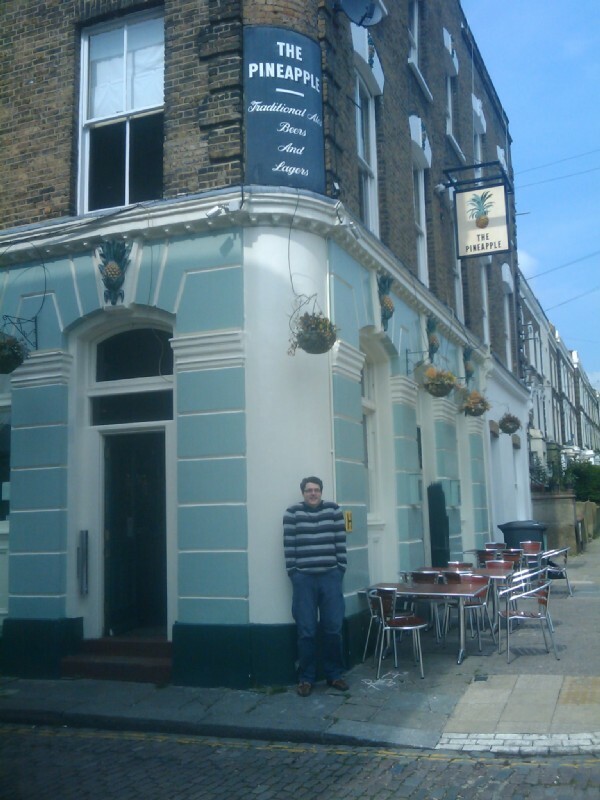 This was not on the original agenda, but it was the last pub before crossing the Heath, and Andy needed to use the toilet. 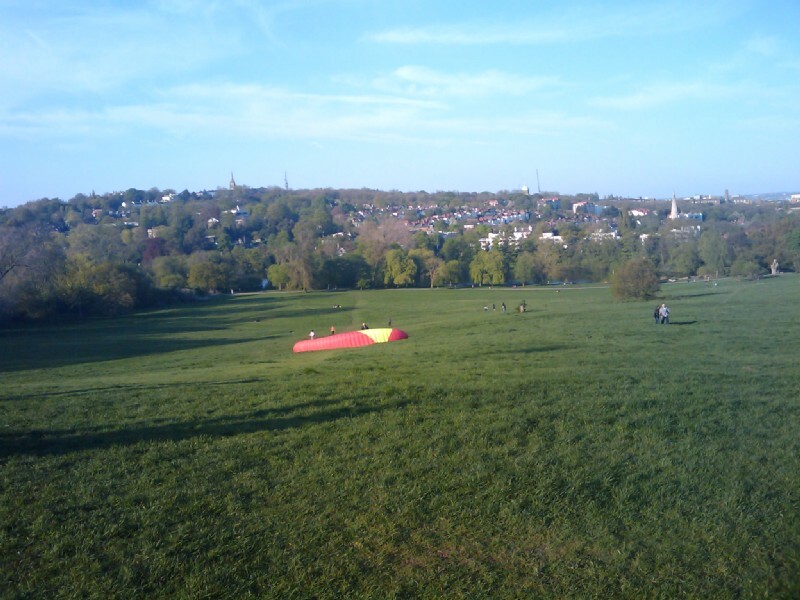 18:12:44 On Hampstead Heath, some bloke with what I assume to be either a very large kite, or an actual parachute. 18:15:21 ...and again. 18:15:26 There's a small yapper type dog. 18:15:53 A bit of a view of London to be had from here. 18:16:14 There's the bloke with his kite-a-chute again. 18:23:52 One of the charming ponds on Hampstead Heath. 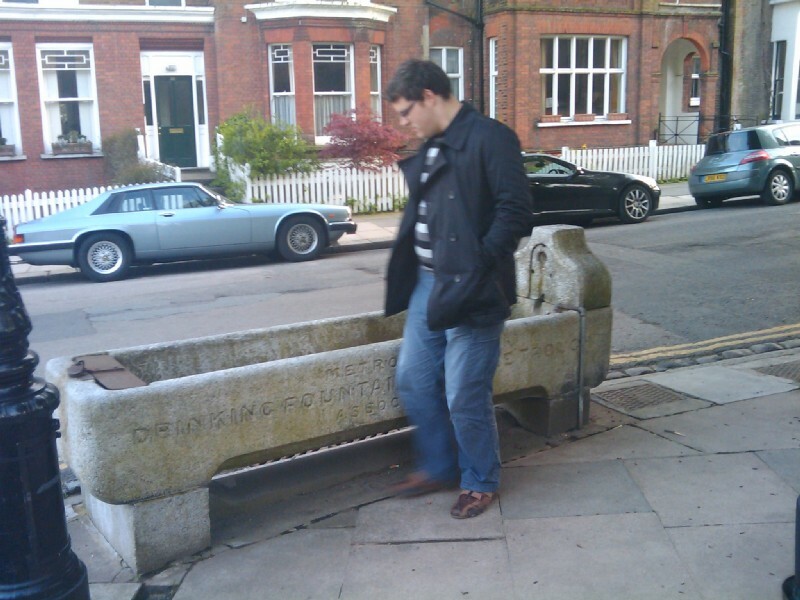 18:33:35 Andy looking at my phone whilst walking down a little street in Hampstead. 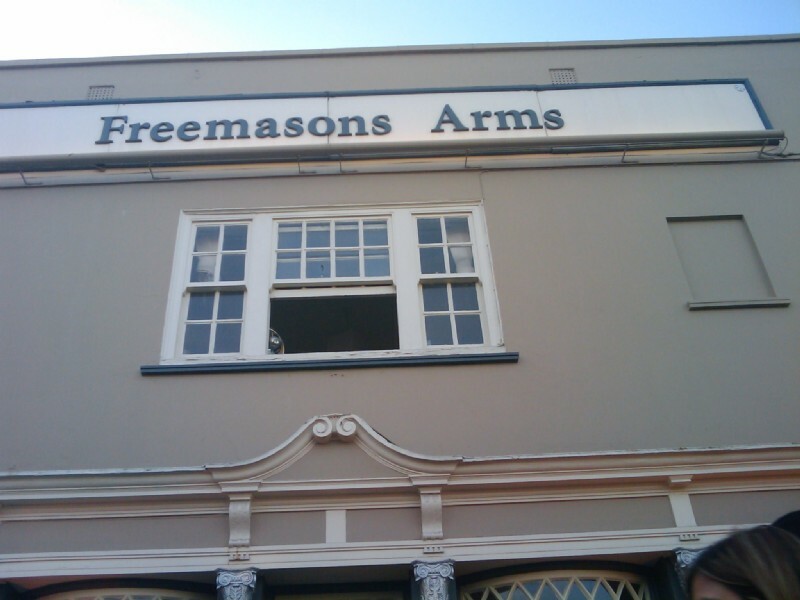 18:47:21 So here is pub number 7, The Freemasons Arms. Possibly my least favourite of the day - very modernised and full of lots of rude middle class people. 19:14:14 A very nice street in Hampstead, opposite the Freemasons Arms. 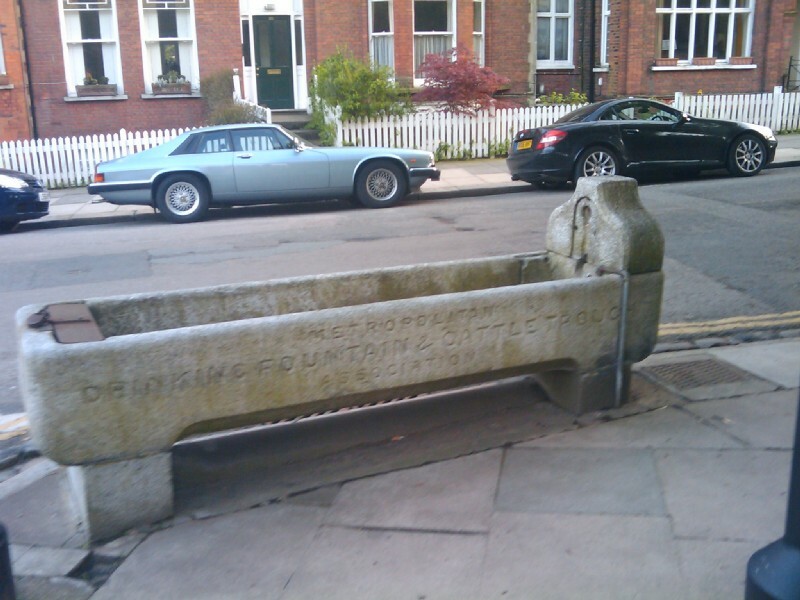 19:24:16 I was rather taken by this drinking fountain and cattle trough. 19:24:29 ...Andy briefly considered sitting in it for a picture, but then thought better of it. 19:25:09 Rather nice sky at this point in the day. 19:29:58 Pub number 8, Ye Olde White Bear, lovely old place this. 19:37:55 Inside the Bear, bizarrely there was a Monopoly set on our table. 20:26:37 Pub Number 9, The Duke of Hamilton. 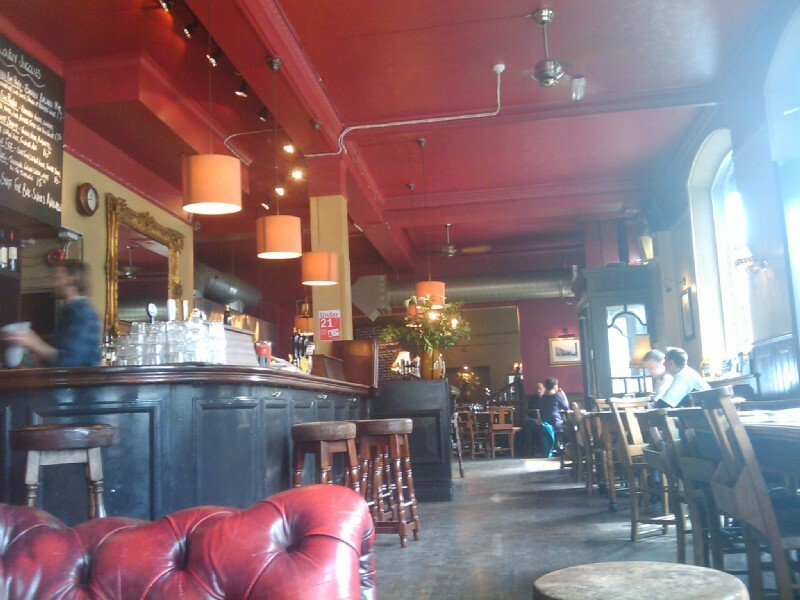 I think I had been in here about 9 years ago when I first came to live in Hampstead. 20:38:11 Well, the pictures get a bit obscure from here on, but luckily I do actually remember that Pub number 10 was the Holly Bush, a favourite of mine. 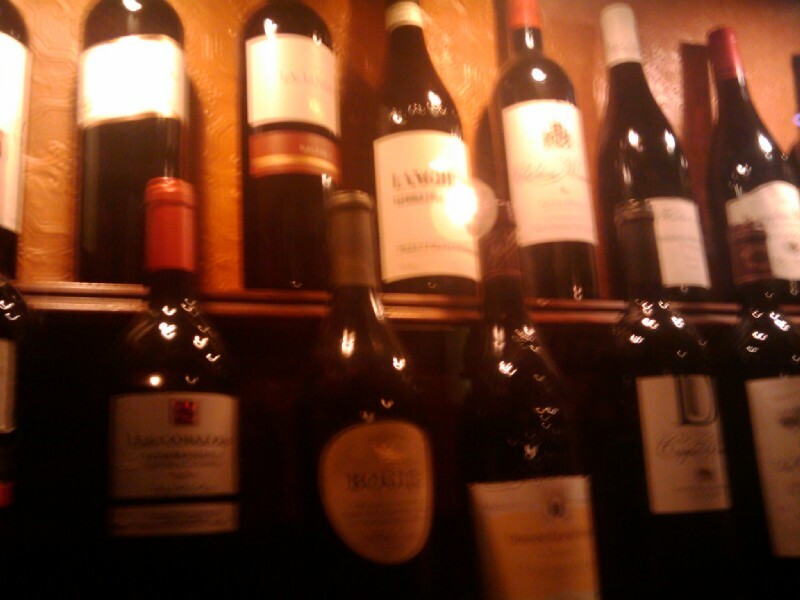 Here's a cabinet containing some bottles of wine. 20:46:19 ....and here, although you can't see it, is a shoe buffer. Both Andy and I gave our shoes a bit of a clean with this. 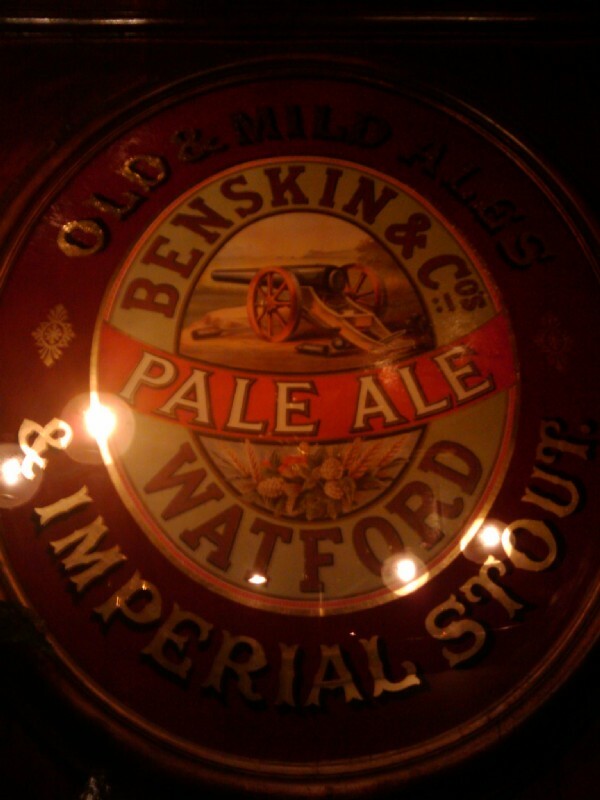 21:07:31 I think this is in the Holly Bush still, a nice old sign for Benskin and Co.'s Imperial Stout. 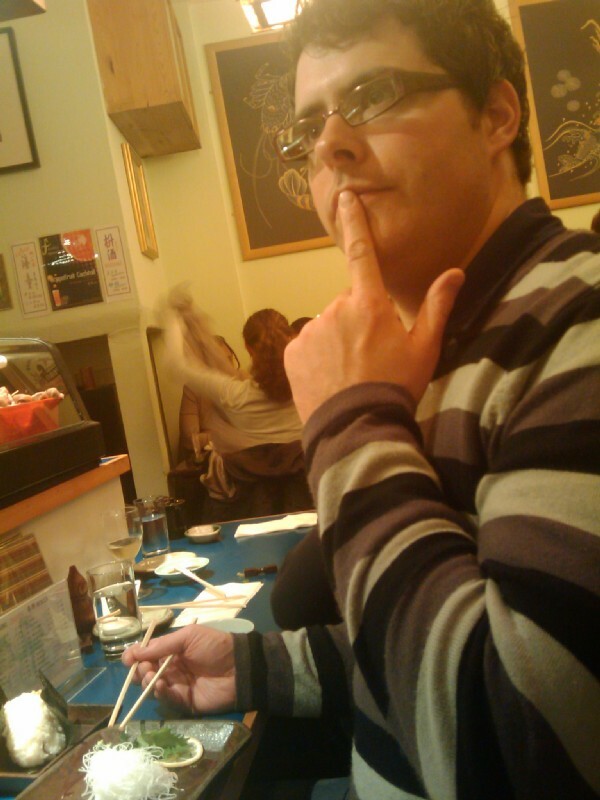 22:24:52 Finally, as we were both somewhat peckish, we rounded the day off with some very nice Japanese food at Jin Kichi. 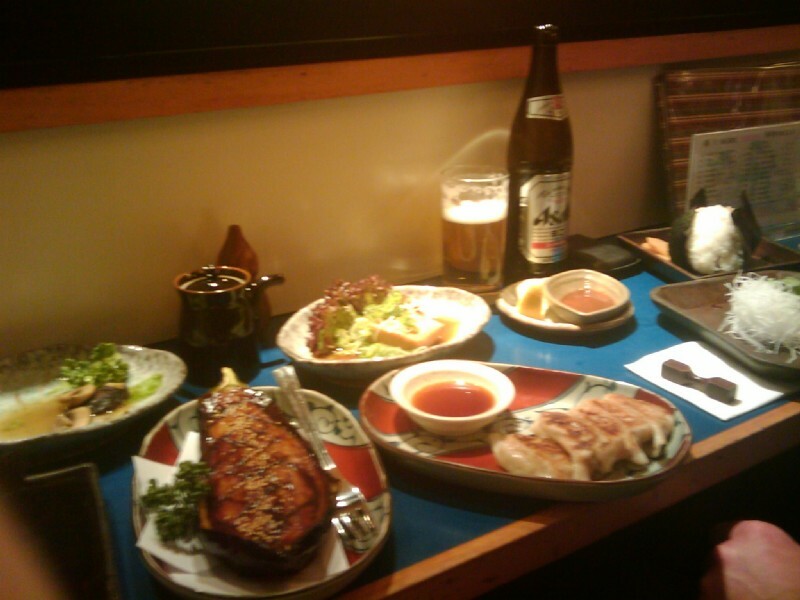 Here you can see a nasu dengaku (a sort of baked aubergine dish with miso) and some gyoza. 22:25:09 Andy looking pensive at the end of our long day out.